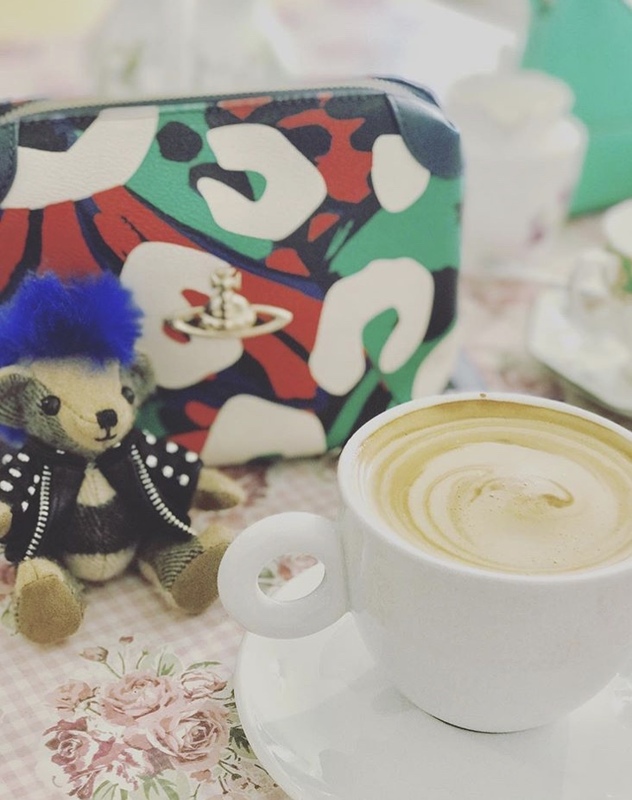 Today I've decided to chat about something a little bit different for day 21 of Coco's advent, something a little bit closer to home...my handbag collection. Anyone who knows me (or reads my blog!) knows that I love a handbag, and whilst designer bags are my favourite, I don't really have as many as people would think! I choose carefully those that are practical or I love so much that I'll continue to use over and over. 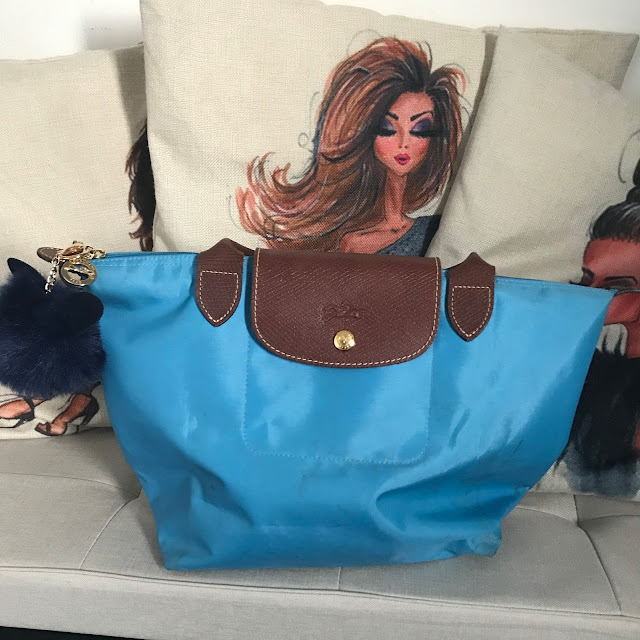 So I suppose these are the highlights of my handbag collection...I hope you enjoy reading about them! I'd always wanted a Louis Vuitton handbag! I remember having a fake one when I was younger and being so in love with it; I don't really believe in copies these days though so it was the real thing or nothing at all when it came to choosing one in my adult life. For my thirtieth, I decided to invest in one and I'm so glad that I did! I researched the handbags thoroughly and ended up choosing a Neverfull PM, the smallest of the Neverfull collection. Almost two years since I bought it, I'm still totally in love with it and it's been everywhere with me. It's also the perfect bag to hang Bertie (my Burberry bear) from. When I bought it, I paid around £670. To buy one now, it would set me back around £835, so definitely a worthwhile investment. The leather is beautiful, and I always feel really special taking it around with me! My little black Cavalli handbag is the newest to my designer handbag collection. 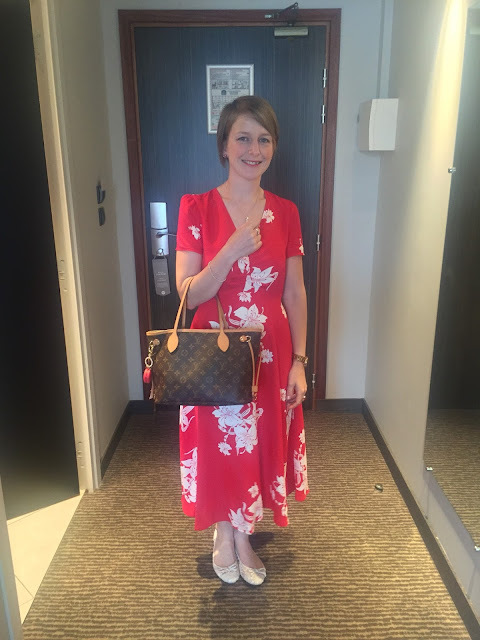 I bought it on sale at Flannels last summer for around £141 (instead of £242) because I didn't have a decent black evening bag and thought it the perfect choice for my holiday to Cannes. It's quite weighty, super cute and eye-catching; it always gets lots of attention when I take it out and about. This bag was gifted to me by Mahi Leather for writing an article about handbags vs rucksacks (here). I'll always love it as it's one of the first really amazing things that I felt like I'd earned as a blogger. Made of the most beautiful leather and monogrammed with my initials, I've used it a million times more than I thought I ever would; it's so practical! It's perfect for lugging around heavy work files without giving myself arm or shoulder ache and it looks really cool too! 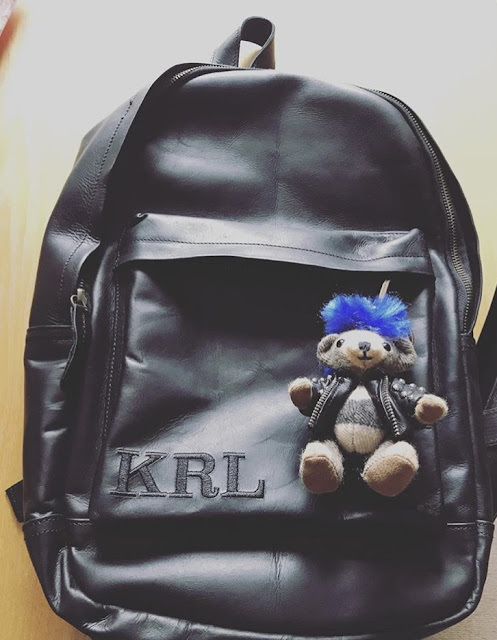 As with many things in my life, I fell in love with these bags whilst holidaying in France! You'd be amazed by how many women (and some men) have them as shoppers, particularly in Paris! I bought mine in York, and it's been used a million times. I love how practical it is, and the fact that it folds up, giving me the option to pop it inside another of my handbags if necessary. I do wish I'd chosen one in a slightly darker colour though as it's filthy, but I still love it all the same! Vivienne Westwood handbags helped me dip my toe into the world of designer, back in my mid-twenties when I bought my first. I have a few of them, but the one I use the most is my multicoloured cross body bag. I bought it from Selfridges on a weekend away with my bestie a few years ago, and whilst it's well-used (and a little bit bruised and battered!) I still think it's amazing. The perfect size to carry my large purse, colourful enough to be eye-catching and enough extra room for my phone and a lipstick, this is a bag I'll use until it dies. I remember that I got a slight discount on account of it being the last handbag in store of that style, but I don't remember exactly what I paid for it! All I know is, it was worth every penny! Who know what my next handbag addition will be? Perhaps something by Burberry, or Gucci if I'm really lucky! All I know is, this isn't a collection that's about to end any time soon! Let me know if you're hoping to receive a designer bag for Christmas!